Diving Club Posidonia was founded in 1992 and offers the full range of certified PADI courses. Our Club boasts a unique location! 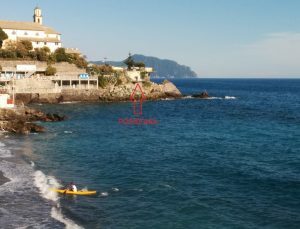 It overlooks the sea, in Genoa Quinto, just below the little church of Sant’Erasmo. As a Club, we usually accept yearly membership from scuba divers living in our area. You must have a valid PADI (or equivalent) certificate. Usually our activities are from May to October, on Saturdays, Sundays and sometimes even on weekdays, depending on sea conditions. 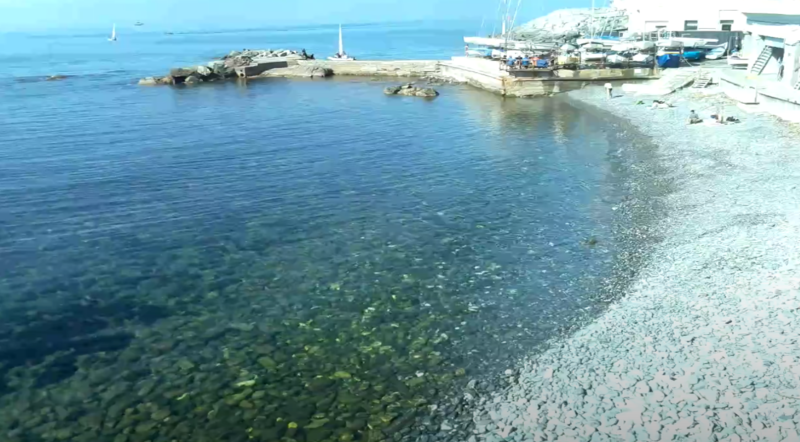 You should book few days in advance and the cost for one dive is € 75,00 including: Daily Diving Permit from Marine Area(*), dinghy trip, cylinder, regulator, Buoyancy Control Device (BCD Jacket) and weight belt. We may rent also other diving gear such as: mask, fins, wetsuit, in that case we ask you to add € 25,00. In this map you’ll see all diving spots. 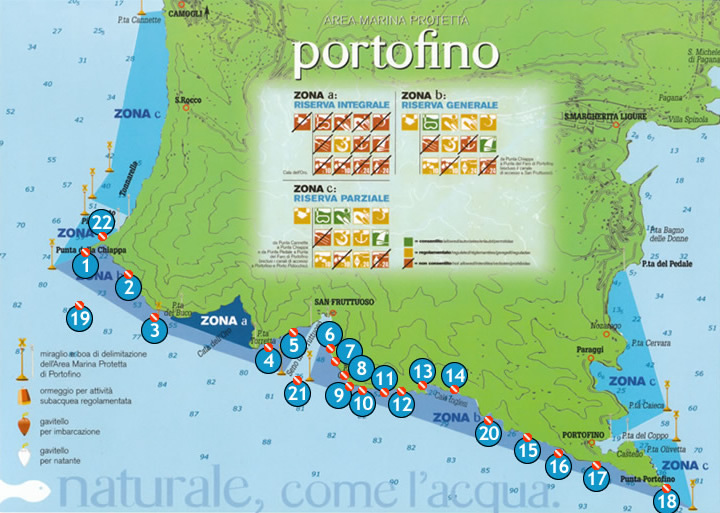 (*) Number 21 (Punta Chiappa Ponente) and Number 22 (Cristo degli Abissi) are free diving spots (that means you don’t need any permit!). For further information, please don’t hesitate to ask.